Just look at what we once had. We're heading into what will be a glorious three-day weekend for many people. But in case you were looking for a reason to be totally depressed, here it is. 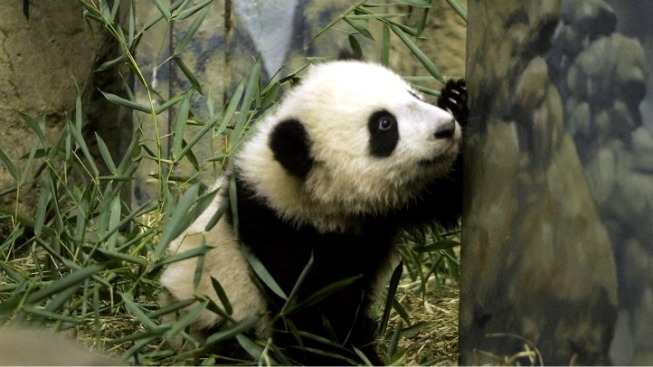 Mei Xiang is behaving in a way "that is typically linked to a hormonal return to baseline," the National Zoo said in an email this afternoon. Oh goodness, National Zoo, what have we ever done to you? Then, the death blow: "The fact that she has been eagerly participating in the ultrasound training is a behavioral indicator that is typically linked to a hormonal return to baseline." We hope you can try to enjoy your holiday weekend anyway. Maybe next year we'll have something black and white and tiny to celebrate. Until then, attend your barbecues and try to keep your weeping silent.